Island Mommy Living: Lasting Memories Challenge #245 & Process Video Update. Lasting Memories Challenge #245 & Process Video Update. Good Morning Beautiful People! Well, it's the 1st day of summer break and my son is already bored. AHHHHHHHHHH!!!!!! Create a layout based on this quote/happiness. This quote is so true to me. 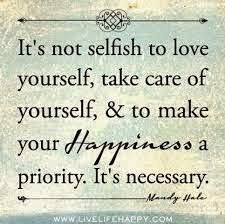 I feel, as a mom, wife, friend, sister, daughter, etc, that my happiness needs to come first. Because if I'm unhappy I'm not useful to those around me. But if I'm happy it makes me a better person, mom and wife. So where do I find my happiness? Doing things for others, spending time with family, and paper crafting. My husband and I went on a little "Lovers Escape" to a local Resort in Key West. We only spent one night and it rekindled our romance. It was awesome! I'm working on Video #2 right now and should be up in the next couple days. Editing these videos is harder than I thought! Great layout Andrea. I love the touches of gold and the paint spatters with the sequins. Hey Andrea... I would love to showcase your "Faith" layout in a post. Can you post it to the DT blog in the next day, week etc? Lol! :) Thanks. Fantastic layout! I just love that way you scrap and love your process video, too! Looking forward to the next one! Beautiful layout Andrea!! The best part is your gorgeous photo, way to go!!! And bravo for taking the plunge into video making, you did a great job.